In my last post, I had managed to acquire 3 vintage sewing machines in just under 5 weeks and avoided buying a Rover P4 by the skin of my teeth. I was searching for a treadle cabinet to fit Isabella, my 1901 Singer 28K vibrating shuttle (it’s a sewing machine), and look what happened. 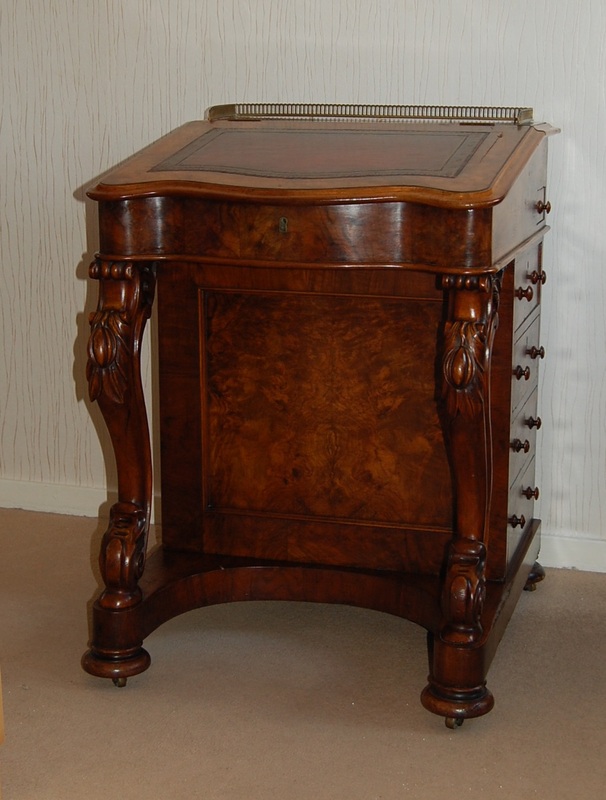 I was watching this local cabinet on Ebay, had been to see it to make sure that my 3/4 sized sewing machine would fit but was determined not to pay through the nose for it. 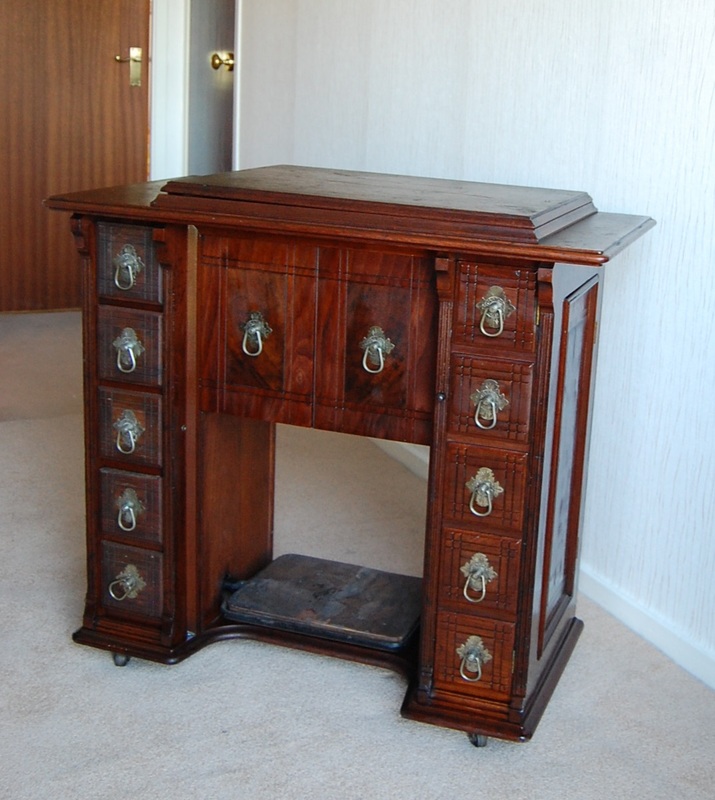 The seller had bought it as an “upcycling project” which, in my opinion, is another way of saying “destroying something old and beautiful which could be easily restored with a bit of gumption”. She neglected to mention that it already had an identical Singer 28K from 1894 cowering with fear of being turned into a lamp or some such idiotic idea inside the cabinet. The machine was probably destined to be upcycled into a boat anchor had she worked out how to remove it. It didn’t sell the first time round – no surprise there – and the second listing had the price reduced by £70 to £100. Still about £40 dearer than these cabinets sell for in the UK but there had only been 6 sold in as many months and this was local. Wooden items containing large lumps of iron which move on hinges don’t travel well by courier. I bit the bullet, bought it at the last minute, rushed off there like a rat up a drainpipe and collected it. It may only measure 34″W x 18″D x 30″H and fit in the back of a 4×4 but it weighs the same as your average small hatchback, contains a lot more metal and has already outlived most of them by about 110 years. It’s a Singer “Art Cabinet” so that makes me an artist. The downsides to acquiring a lovely piece such as this are that a) something has to leave the house to make room and b) it contains orphaned vintage sewing machine number four. My Davenport desk is heading off to auction tomorrow and should cover all my silly Singer Mania purchases and give me a big wodge of change for petrol money for the Monte Carlo trip. Excellent plan! The sewing machine can share the cabinet with my other 28K which is fitted with a hand crank. This means I can treadle or hand crank either machine. My new treadle belt arrived PDQ from Helen Howes, who is brilliant for advice as well as the supply of old sewing machine parts in the UK. (Don’t tell her that I sent you, she already thinks I’m berserk.) After a good oiling and much Googling, the treadle mechanism is working like new and almost silent – I just need to get the hours of driving practice in, which you do on paper with an unthreaded machine. There are YouTube videos all about it. So, poor Mr IP asked me the night after we collected the cabinet if we were going to be watching a film, as is our Saturday evening habit while scoffing my baking attempts, or was I going to be “playing with Marjory or whatever her name is?”. Good choice, Marjory she is. He did also point out that I only need one machine to sew my Monte Carlo wardrobe, not one machine per outfit. Spoilsport. I’m still just putting off the actual SEWING bit of the plan so, having been inspired by the Great British Sewing Bee which I found on YouTube, I decided to start off by making a pair of ladies cotton trousers a la Audrey Hepburn. Easy. They had 3 hours to do it in the telly programme. I trotted off to a well-known Edinburgh purveyor of fabrics and all things sewing-related and came home with a pattern, material and bits (“notions” is the technical term, apparently) for producing said trousers. I liked the ones on the left. Side zip, proper waistband – none of this elasticated waist nonsense, that’s a slippery slope if you ask me – fitted with darts front and back, no pockets to show that you can’t stitch in a straight line. Perfect. The lady in the shop helped me choose the pattern, explained it to me and even measured me to calculate how much fabric I would need. I chose a rather outlandish pattern which may not surprise you. After 5 days of feverish activity when I had spare time, I landed up with this article. 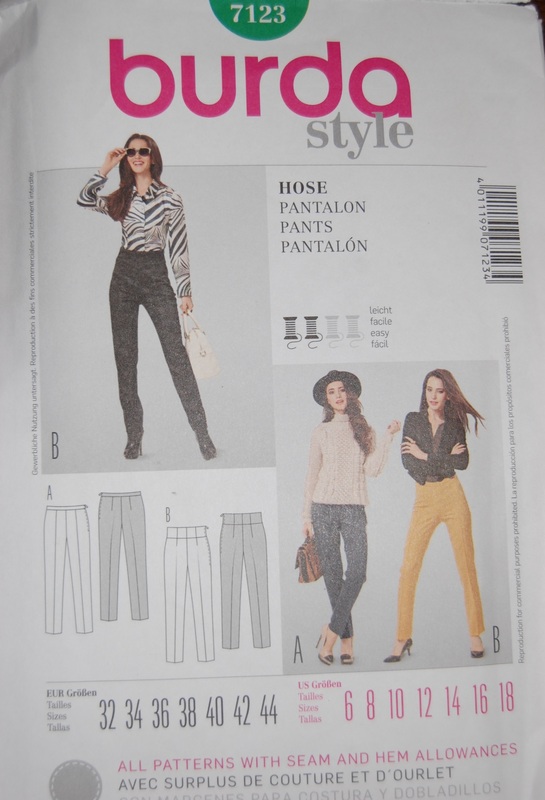 Sewing patterns are like a foreign language and shorthand combined. Especially when parts of your carcass fall into one pattern size and other parts are a different size and you have to merge the two together. After trying on my half-baked trousers numerous times after unpicking and re-stitching, I was certain that they had gone seriously wrong and I couldn’t work out where except that I knew the crutch shouldn’t be so close to my knees and the legs shouldn’t flap. 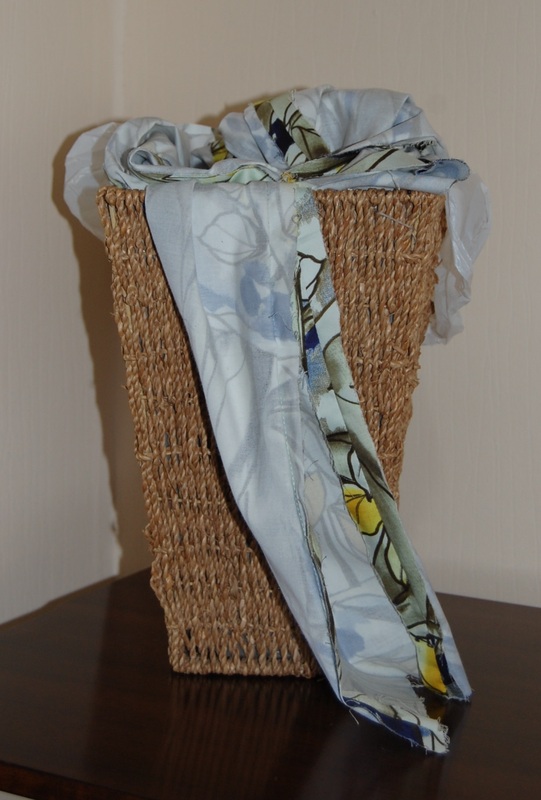 I bought a similar charity shop pair (yes, I know, I could have saved myself a lot of trouble – rather nice navy silk M&S ones for £2.99) and dissected and measured them and the penny dropped. I should have gone back to basics – very basics. The woman in the shop had measured me incorrectly and I was making trousers to fit someone a bit bigger than me, the realisation of which resulted in deep joy and happiness and a desire to carry out a slow strangulation. It’s a learning process. I already know how to do strangulation. The other stuff is coming along at a leisurely pace. duvet cover trousers AKA PJ’s? It’s a horribly long and complicated process when you’re new to all this. I had to buy a gadget called a “French Curve” which is for measuring curved seams when adjusting patterns if you’re as useless as I am at judging these things. A couple of mm either way makes a big difference between having a saggy arse or wrinkly thighs. In the trousers. Measuring yourself is problematic as you need to be standing upright, not twisting around, sweaty and swearing and wishing you had another pair of hands. I resorted to trying on different trousers that fit me well, standing in front of a mirror and using a Sharpie to mark not only the target fabric, but myself. I am considering having tattoos to mark my waist and hips but there’s always potential for change in those departments, so perhaps not one of my better ideas. I took a photo but it’s not really the sort of thing I want you to remember me for. Once seen it can’t be unseen. To add a further insult, I can no longer thread needles due to the relatively recent need for reading glasses. I wear two different contact lenses so one eye does long distance and the other eye does close up. Working out which does what takes up a minute or two if you’re really bored but makes you look like a psychiatric case if you’re waiting in a queue in Boots or somewhere. It works a treat, in a general sort of way, but contact lens prescriptions can’t be as finely tuned as glasses so I’m still a bit lacking in the closeup eyesight department. Luckily I found these in Elsie’s sewing box (yes, there’s a story about that too). She must be helping me along. 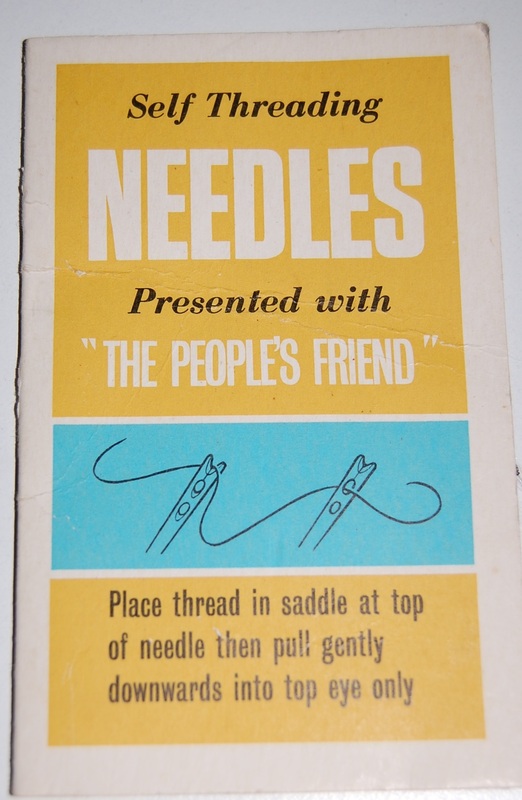 Mr IP, Shirl and the needle threader are in a tin box in the sky heading home as I write – hurray! Hope the plane stays up. I may have to go to Greece to see if anyone goes around selling pinking shears from a basket. 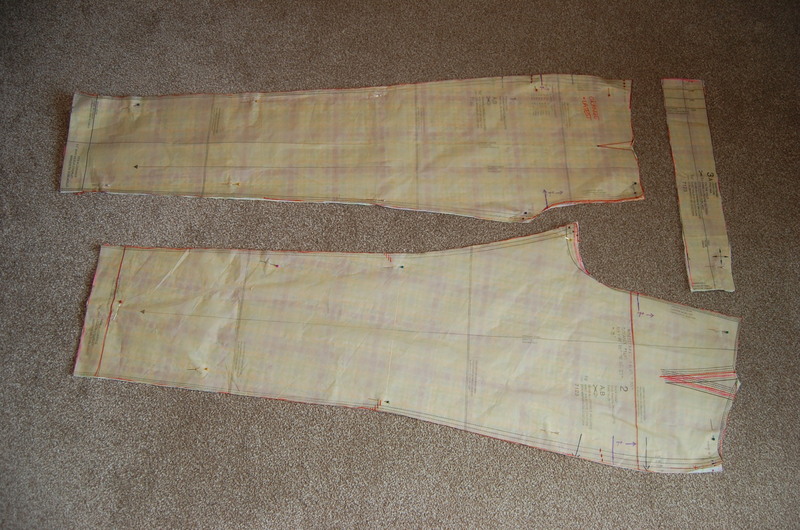 My pattern states that I should finish the cut edges of the fabric but all my sewing machines were made to do one stitch only – lockstitch. 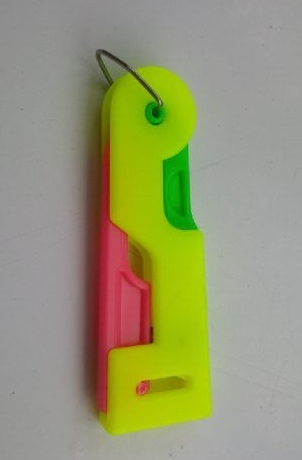 No, I’m not buying another one just to do zigzag. I’ll make do with pinking shears and do French seams. When I learn how to do them straight. By my next post, I will have a pair of beautiful home-grown ladies trousers, maybe a Rover P4 and no more sewing machines. Who believes any of that? PS: Is it crutch or crotch? I think I would disappoint even more Googlers if I spelled it crotch. Hey ho. The Silly Girl’s Project will continue shortly…. Some of you, particularly my Sepia Saturday friends, will already know that I have had my images splashed all over Pinterest and that I got rather bolshy about it. Pinterest accepted my complaints, removed most of the images and advised me that they have some wondrous gizmo which will discourage their users from Pinning – but it doesn’t work on WordPress.com, only self-hosted blogs. As a result of the increase in blood pressure and the decrease in tolerance which ensued, I have bought the domain name “imagespast.co.uk” and will be transferring the whole blog from here to there once I have everything backed up and packed up. This entry was posted in Douglas & Elsie's 1955 Road Trip, Photos, Silly Girl's Project and tagged sewing, Vintage Singer Sewing Machine. Bookmark the permalink.